Konkani/Goan food as it known to most is the Portuguese influenced food commonly served in restaurants for tourist. But there are a whole treasure trove of recipes never known to the outside world since they are only cooked at Konkani homes. 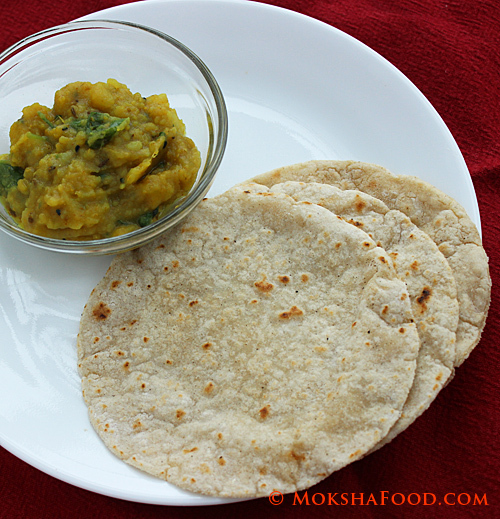 Today I am sharing one of it gems , a protein packed dal recipe made with sprouted green moong dal . 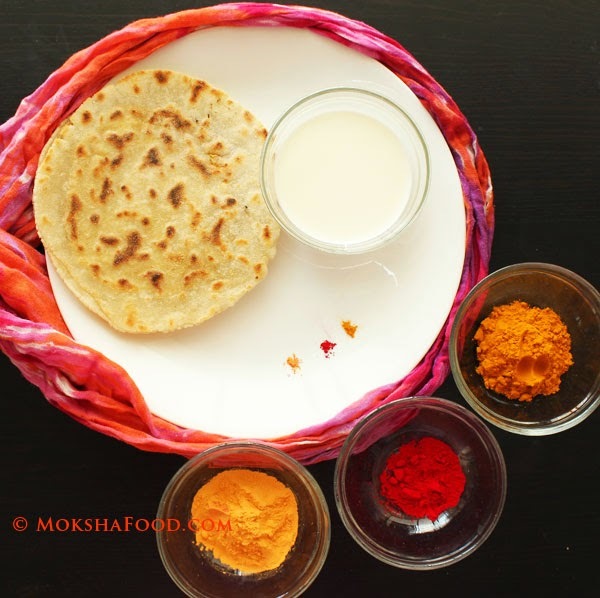 This is usually served during the auspicious Ganapati festival. This is the most important festival for any Goan Hindu. Describing the amazing experience of Ganapati celebrations deserves another blogpost. 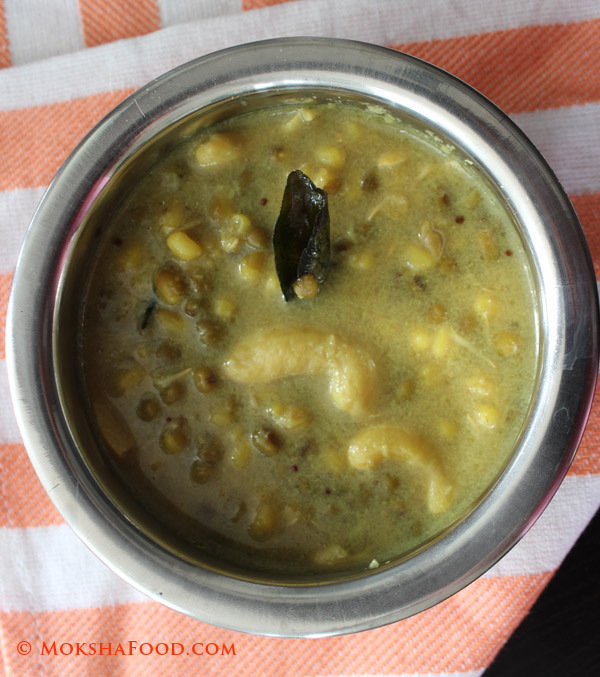 Coming back, today i will introduce you to Muggagathi, green moong sprouts cooked in a mild coconut gravy, flavored with spices. 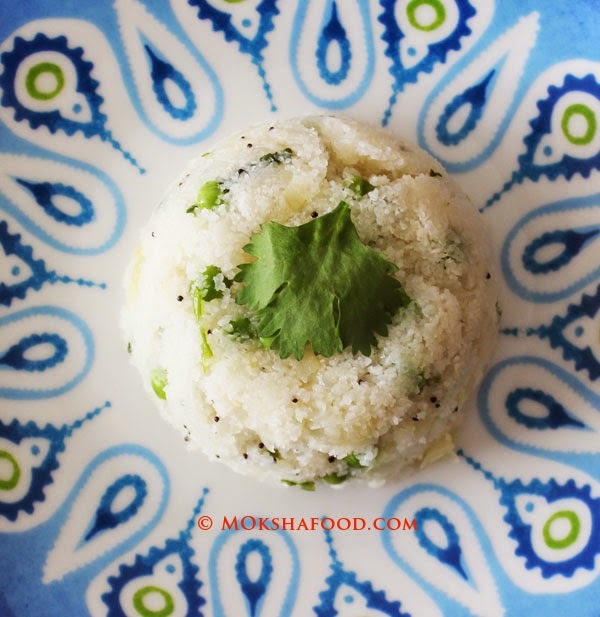 Soak the dried green moong in water 24 hrs before you plan to cook this dish. After about 8 hrs , they would have enlarged. Drain the water and leave aside overnight to germinate. The next day, traditionally the skin of the moong dal is removed. But I prefer to retain the skin since its enriched with proteins and flavor. Heat up a saucepan on medium heat. Add some water to the sprouts and cook them till half done. Sauté the green chilies in 1 tsp of oil in another pan. Grind together coconut, sautéed chilies, turmeric pdr and tamarind. Add this mixture to the cooked sprouts. Add jaggery and cashew nuts and simmer the curry for about 10 mins. In another small pan, add 1 tsp of oil and give tempering of mustard seeds, asafoetida and curry leaves. Once the mustard have popped and curry leaves get aromatic, pour this mixture over the cooked sprouts. Mugagathi is ready. 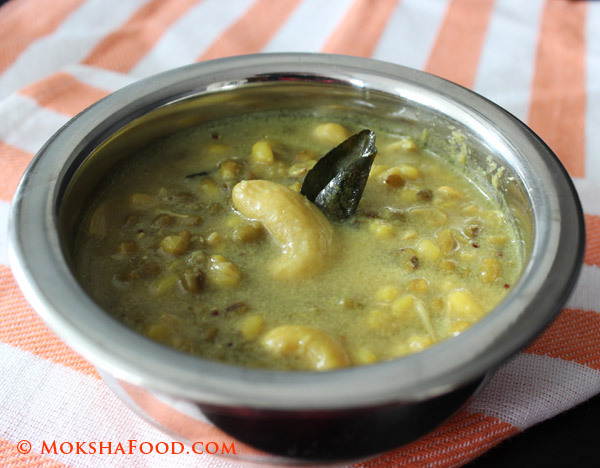 A mild coconut moong gravy with a hint of spicy, sweet n sour touch. I served this with plain white rice and another konkani side dish called Daliche wade. This recipe is yummy enough to be just had as a soup or meal by itself too. As a variation, I have made it using coconut milk too. Torachi Uddamethi / Raw mango Curry!